Honda Philippines Inc. (HPI), the number one motorcycle manufacturer and distributor in the Philippines, introduces the all-new Click 125i and Click 150i—the brand’s new premium and modern sports automatic motorcycle. The all-new Honda Click 125i is powered by a 125-cc liquid-cooled, PGM-FI engine with Enhanced Smart Power and an ACG starter, making the model fuel-efficient at 53 km/L. The model comes with the Combi Brake System and Park Brake Lock for added safety features. The new design makes a bold statement with its modern bold decals and all LED Lighting System (Dual Keen Headlight with position light, tail light, front and rear blinkers). It also has a sporty muffler design with aluminum end cap. 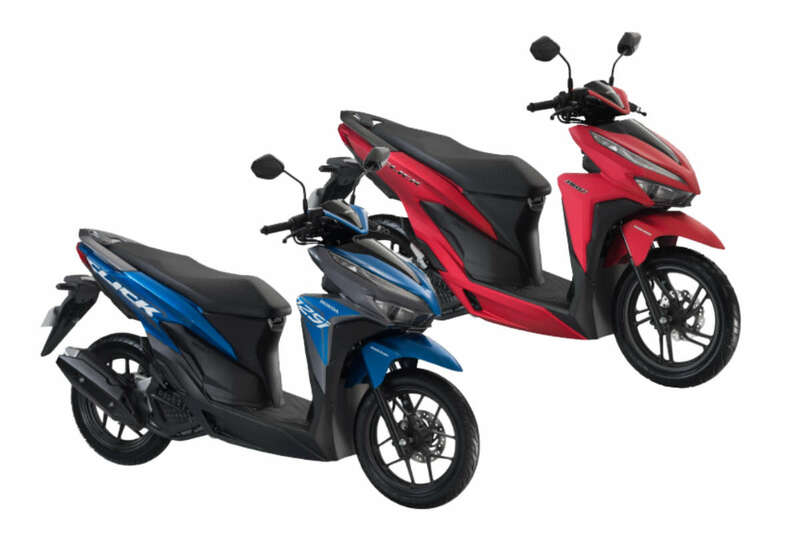 The all-new Click 125i comes in 4 modern color variants, namely the Anchor Gray Metallic, Vivid Blue Metallic, Nitric Orange, and Space Magenta Metallic. Price starts at P 74,900. Meanwhile, the all-new Click 150i is powered by a 150-cc, liquid-cooled, PGM-FI engine with Enhanced Smart Power and an ACG Starter and Idling Stop System, which gives the bike a fuel economy of 52 km/L. Like the Click 125i, the Click 150i also equipped with a full digital meter panel and an all LED Lighting. It comes exclusively with a 3D emblem. For more convenience and added security, the model also brims with advanced features namely the Smart Key System with keyless lock and unlock, ignition on/off, Anti-Theft Alarm, and an Answer Back System. It also comes with new sporty wheel design with wider tubeless tires, wavy disc brake and a sporty aluminum pillion steps. The all-new Click 150i is now available in 4 premium colors which are Matte Gunpowder Black Metallic, Matte Solar Red Metallic, Matte Crypton Silver Metallic, and Pearl Fadeless White. It has an introductory price of P 95,900.